We offer great priced domain names and hosting packages, as well as our own in-house design service. Click here for our Terms & Conditions on dealing with us for this service. * Additional email accounts are available at £5 incl. VAT / Year for each extra 3 email accounts. Email set-up instructions for most email clients are located here. # One optional FTP account is included, if required. 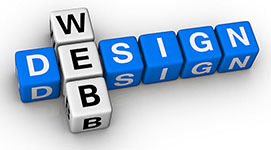 All websites are now based on responsive templates and include 12 months maintenance.